Publish your response during the next week--linking back here so we can all find one other--and leave a link to your post in the comments. 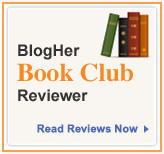 If you don't blog, you can always leave your thoughts directly in the comments. My mom is an (amazing, dedicated) elementary school teacher. One of the writing strategies she uses with her students is called small moments writing. Instead of writing a typical seven-year old's paragraph that, say, summarizes everything they did in a day, they write about a single, small moment: what it felt like to ride on the bumpy bus or a flower they saw as they walked to school. It's about learning to dive creatively into a single moment in time and flesh it out with details and descriptive words. I thought it would be a nice exercise for us, both to record a memory for ourselves and to give others a glimpse into our families' open adoptions. 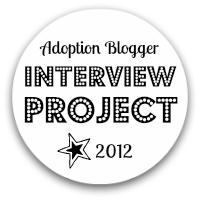 So our fourth assignment is to write about a small moment that open adoption made possible. It might be about something that happened during an interaction or conversation if you have face-to-face contact. Or a moment centered on a letter or picture, if you don't. Just a single, small moment that could not have happened if the adoption were not open. SocialWkr24/7 at Eyes Open Wider writes about being the intermediary when mother and her two children regain a small measure of healing contact after a decade apart. Ginger at Puzzle Pieces recalls a long-ago Halloween moment between two daughters--one placed, one parented--and their question that still weighs on her. Debbie B at Always and Forever Family tells how ultimate trust has come full circle between them and their daughter's first mother. Luna at life from here writes about the power of being present at her adopted daughter's birth. Britney at Beauty for Ashes reflects on a recent moment of shared intimacy with her son's adoptive grandmother. Snickie at The Tales of Snickie, Honey, Bear and Puddles remembers the moment her adopted daughter caught the first glimpse of her baby sister's face. Hope548 at Not Like I Thought It Would Be witnesses the contentedness of a grandmother watching her daughter interact with her placed son. A at A+A Adopt a Baby realizes the trust of open adoption begins even before placement, in the process of choosing an adoptive family. Leigh at Sturdy Yet Fragile shares a touching example of her organic connection to her placed daughter, despite their limited contact. Jess at The Problem With Hope celebrates how open adoption lets her adopted daughter bond with both of her brothers, the one she lives with and the one she doesn't. Cindy.psbm remembers receiving an image that guided her, for better and for worse, throughout the decision to place her son. Tracey at Grace Comes By Hearing shares how significant it was to be present at her adopted son's birth. Dawn at This Woman's Work shares how even a simple expression of love for a soon-to-be-born baby brother can be fraught with conflicting emotion in adoption. Sally at The Adoptive Parent realizes how significant it could be to watch her son's birth mother interact with him. SJ at From the Mind of a Bmom shares how a poignant moment rocking her son to sleep captures both the joy and sadness of open adoption. Brown at Coming Clean: Confessions of a Secret Birthmom tells the story behind the first picture her daughter ever saw of her-- and the picture Brown saw that underscored how much they have in common. Spyderkl at Evil Mommy shares how the dreaded family tree assignment became an affirmation of open adoption bonds. Jamie at On Wings of Hope learns how meaningful the ongoing flow of information can be in open adoption. I remember the joy of witnessing my daughter's first mom introduce her little girls to the people most important to her. Andy at Today's the Day shares that something as basic as pictures of his first family has transformed her son's experience of growing up adopted. M de P at Reservado Para Futura Mamá recalls how meeting her daughter's first mom opened her up to a flood of compassion. Thanksgivingmom at I Should Really Be Working can embrace the bragging rights that come along with motherhood. Deb at Waiting on Life remembers the grace of her daughter's first mom as she took her to to meet her baby for the first time. KatjaMichelle at Therapy Is Expensive offers four moments of acceptance, inclusion and affirmation--all of which would be impossible in a closed adoption. Barely Sane at Infertility Licks is able to share in the pride of a member of her daughter's first family she's never even met. Lavender Luz at Weebles Wobblog describes the first moments of two families' bonds with their newest family member. Family of Three at The Mommy Journals shares how the simple act of rocking a baby to sleep brought out the tender concern of two mothers for each other. Sue at Twice Blessed remembers an unforgettable hug with her child's first mom. Jenni at Confessions of Mean Girl Turned Mommy shares how the a shared moment at a midwife's office gave her a glimpse into the future adoptive mom's heart. Kristin at Parenthood Path describes how the ups and down moments in open adoption start long before any adoption takes place. Mama2Roo at Letters to a Birthmother shares how her son seamlessly (and humorously) weaves his biological sisters into his everday life. 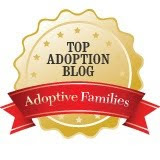 Rebecca at Chasing a Child has a story about open adoption and boogers. Yes, boogers. and now I'm going to go watch Burn Notice. here's mine, though it's not really a small moment but a huge one! thanks. here is mine - I'm a newbie. I've done the others but this one is a tough one. HERE IS MY LINK! This was a great prompt! I love this prompt. Thanks, Heather! I really enjoyed this week! And I would totally link to it on Sunday, but it's probably too painful for most of the people who visit my site. Love it, though... thank you for doing this every week. We've been away and as we were returning last night I was looking forward to finding what the roundtable topic would be! Here is mine. Now I'm off to read others. Ah, back from vacation and back to blogging!! I hope it's not too late. I'm joining in on the discussion. Delurking to take part in this one. It's fun watching the Roundtable expand! Here is the link to my post about names!